The May issue of Self is here! Not only should you worry about what you put into your body but also what you put on your body. From cosmetics and deodorant to lotions and shampoo, personal care products are full of ingredients you may not even know about. While sneaky parabens are enough to worry about, we also know that ladies need a little guidance as to what colors work best for their personal skin tone. 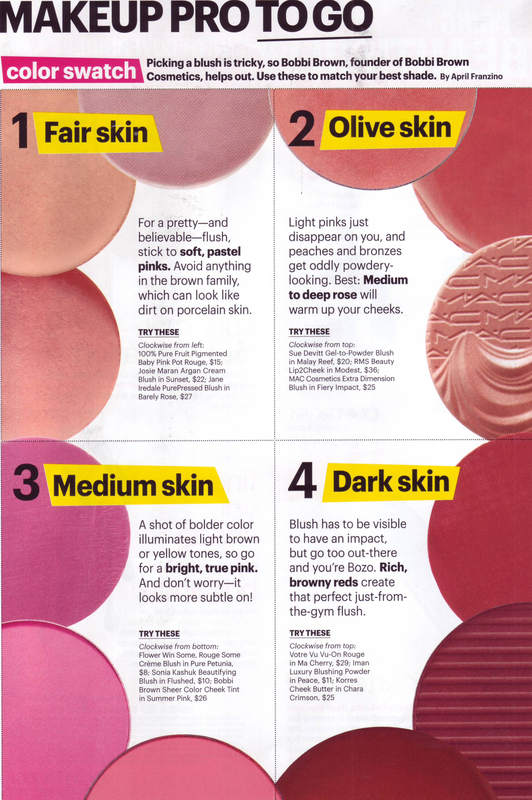 Whether you’re fair, dark or somewhere in between, the famous Bobbi Brown reveals a few tips to keep on hand when selecting your next blush. And for those of you with olive skin, Mrs. Brown suggests reaching for our modest lip2cheek. The rosy hue and creamy texture will deliver a natural flush to those cheeks without looking too subtle or powdery. What’s more is this unique product can also be used on lips–pat on with your finger and you’re set for the day!